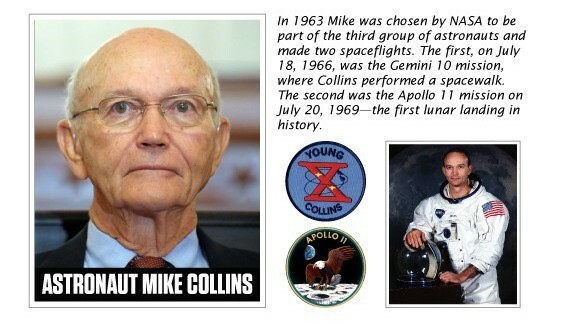 Apollo 11 command module pilot, astronaut Mike Collins, will be the keynote speaker at the Innovators Gala to be held September 16, 2017, at the JW Marriott in Washington, D.C. Collins will headline the event introducing the 45 members of the 2017-2018 Astronaut Scholar class and the first recipient of the Neil Armstrong Award of Excellence. Attendees at the Innovators Gala will have the unique opportunity of hearing from Collins, who served as command pilot for the Gemini X mission in 1966 and command module pilot for Apollo 11 in 1969. The event is highlighted by the presentation of the 45 members of the 2017-2018 Astronaut Scholar class who represent the best and brightest of college students pursuing science, technology, engineering, and math. In addition, the inaugural Neil Armstrong Award of Excellence will be presented to Astronaut Scholar, Patrick Biltgen. Click Here to join us at the Innovators Gala in Washington D.C.